There’s been a flurry of interest in the past couple of weeks in relation to the refarming of old 2G and 3G spectrum to reuse to carry 4G services. Most of this has taken place in the old 3G/UMTS spectrum in the 2100MHz band where, as far as I can see, 3G has almost ceased to exist. There’s also been additional activity in the GSM 900 and 1800 bands, where 2G capacity has been cut back to almost the bare minimum required to offer a nationwide service. 2G GSM is still the workhorse of basic cellular communications – even 30 years on, the voice and SMS capabilities of GSM are still more than adequate and the technology is mature, stable and comparatively cheap to deploy. Data services via GSM are essentially not worth using, however – if you see the ‘G’ (GPRS) or ‘E’ (EDGE) symbols come up on your phone you know that there’s probably no point in even attempting to update your Facebook page with anything other than a very short piece of text. Networks regard GSM as providing a voice/text safety net, allowing them to meet their basic service and coverage obligations without breaking the bank. The ‘frequency reuse’ requirements of GSM, where neighbouring cells must use different radio channels to carry cells, means that there is a minimum number of channels that a network must have available if they are to offer a contiguous service and O2, VF and EE appear to have cut their GSM spectrum down to somewhere near that minimum level. 4G LTE is the shiny new boy in town – it offers increasingly fast and reliable data services and has recently been upgraded to offer voice (via VoLTE or Voice over LTE). This means that there are no services that GSM can carry that LTE can’t – the rationale for retaining a minimum level of GSM service must be related to maintaining service for legacy phones and devices and to allow the networks to continue to serve budget users and cheap PAYG phones. This all leaves 3G UMTS/HSPA somewhere in the wilderness – I’ve been involved with UMTS for 20 years, I started teaching the topic for Nokia in around 1998 and started working on 3G rollouts in the UK and elsewhere in 2002 so I have a reasonable amount of experience with it and I must be honest and say I’ve never been a fan. The WCDMA technology selected for the 3G radio interface has always been somewhat of a prima donna, everything has to be just right for it to perform properly and this has led to small cells (due to poor reach and penetration) and patchy data rates from 3G services. There may be other factors involved that are driving the refarming, but personally I’m not at all surprised that 3G spectrum has been cannibalised in this way to support 4G, the only mystery to me is why the networks didn’t do it sooner. 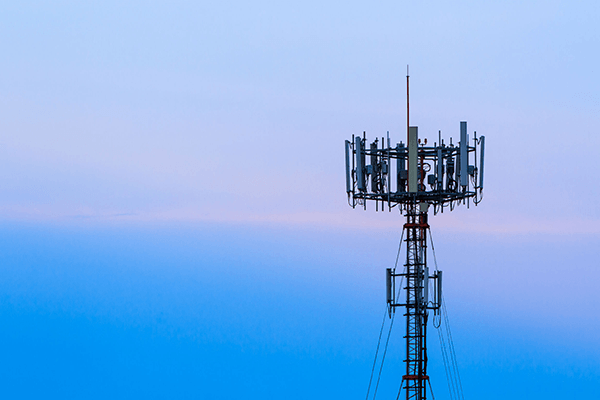 I’ve posted some updates to our UK Cellular Frequency Allocations guide here, along with a document detailing the recent 4G Refarming activities here. Most of the information in there has been gleaned from our own radio surveys, but some has been included with kind permission from Peter Clarke via his highly informative (and deeply technical) ‘Peter C’ channel on YouTube and his website at www.pedroc.co.uk. As ever, we welcome feedback, comments and sharing – so if you spot an error, disagree with my opinion on 3G or if you’ve discovered channels in use that aren’t listed here, please get in touch at [email protected].